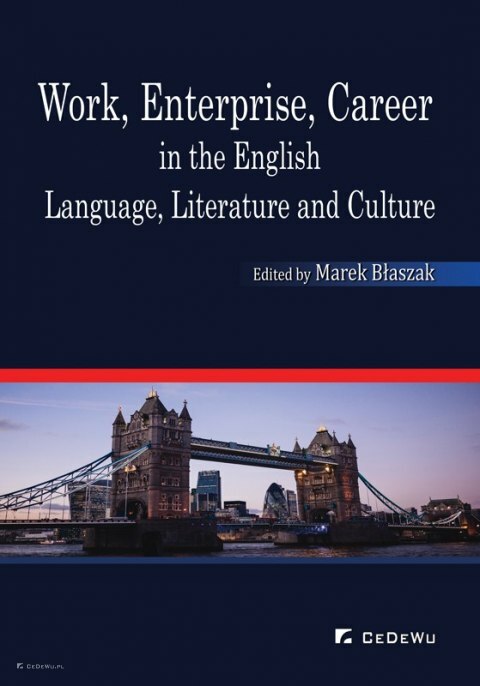 This monograph focuses on the ever topical issues of work, enterprise and career in the English language, literature and culture. 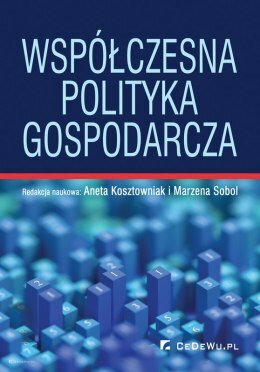 Its first part is devoted to language studies and analyses the metaphors of work in the English translation of the Polish Kodeks pracy, the functioning of modal expressions in the UK's Employment Rights Acts of 1996, and the problems that legal terms and expressions pose for Polish translators; the fourth chapter examines manifold aspects involved in designing ESP courses that should substantially enhance students' career prospects. Literary studies deal with the issues of women's work in Charlotte Brontë's Shirley, and social and professional advancement in John Braine's Room at the Top, as well as the process of professionalisation of literary creation in 18th-century England. Texts under the heading "culture" examine modern factories in the Victorian Age and their vindication by Andrew Ure, labour market in 19th-century outcast London, servants and their work as presented by Mary Beeton, and the successful career of Florence Nightingale who transformed nursing into a modern profession available for women. Marek Błaszak holds an MA from Wrocław University for a thesis on D.H. Lawrence, PhD from Łódź University for a dissertation on Ann Radcliffe, and the degree of habilitated doctor (DLitt) from Opole University for a monograph on Captain Frederick Marryat. He has published around 45 academic articles and given a number of conference presentations, covering a range of issues and problems in English, American, and French prose fiction, and dedicated - apart from the above-mentioned writers - to Daniel Defoe, Jane Austen, Thomas Love Peacock, Charles Dickens, John Braine, Doris Lessing, Michael Cunningham, Philip Roth, and the Abbé Prévost. Bojana Bujwid-Sadowska graduated from and subsequently taught at the University of Silesia. Her doctorate focused on the topos of labyrinth in the writings of Anais Nin. Her research interests include contemporary British novel, especially Kazuo Ishiguro's fiction. Currently she has been lecturing at WSB University and the Institute of English Studies, University of Wrocław. Ewa Bułat holds a PhD degree in English linguistics from the University of Wroclaw and a diploma in Business English at level C2 from the University of Cambridge. Her academic achievements include several publications and conference presentations in theoretical linguistics. Professionally, she filled positions in business development and marketing & sales both at executive and specialist level, working for the London Chamber of Commerce and Industry International Qualifications and a British IT company. As a result, her research interests have shifted to teaching ESP and specialist business subjects in English. Currently, she is an Assistant Professor at WSB University in Wroclaw. Ilona Dobosiewicz received her Ph.D. in English from Illinois State University, USA and her D.Litt. degree from Opole University, Poland. Currently she is Professor of English Literature at Opole University. She is the author of books: Female Relationships in Jane Austen's Novels (1997), Ambivalent Feminism: Marriage and Women's Social Roles in George Eliot's Works (2003), and Borderland: Jewishness and Gender in the Works of Amy Levy (2016) as well as articles on the nineteenth-century British and American literature and culture which appeared in academic journals and edited collections published by Palgrave-Macmillan, Bloomsbury Academic, Cambridge Scholars, Peter Lang, and university presses in Poland, France, and Portugal. She has co-edited the series Readings in English and American Literature and Culture, published by Opole University and is the managing editor (literature section) of Explorations: A Journal of Language and Literature (www.explorations.uni.opole.pl). Katarzyna Gęborys graduated from Adam Mickiewicz University, where she obtained Ph.D. in 2013, and also graduated from the University of Wrocław, where she obtained LL.M. She has been researching in linguistics and translation. Her research interests include contemporary trends in linguistics and translations of texts. Currently she is an Assistant Professor at WSB University in Wrocław. Tomasz P. Górski graduated the University of Wrocław in 2001, where he also obtained his Ph.D. in 2005. He has been researching in linguistics and translation as well as working as a translator for The Institute of Literary Research of the Polish Academy of Sciences, Warsaw. 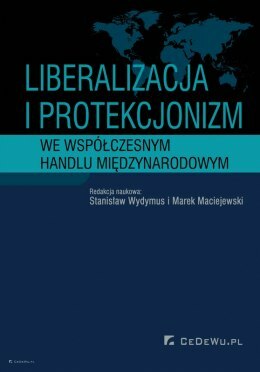 He is a member of the Wrocław Branch of the Polish Academy of Sciences, and author of many articles published in Poland and abroad. His research includes theory and practice of translation, language and cultural studies, cognitive linguistics, and literary-linguistic interface. To date he edited the book At the Crossroads of Linguistic Sciences (Kraków 2006), and Miłosz in "Pamiętnik Literacki" (Warszawa 2013), the first online English publication of the oldest Polish studies scholarly periodical in Poland. Polskie przekłady "Hamleta" Williama Shakespeare'a. Analiza intertekstualna [Polish Translations of William Shakespeare's "Hamlet". 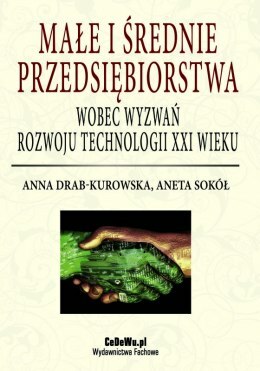 An Intertextual Analysis] (Wrocław 2013) is his latest monograph. Joanna Maciulewicz, PhD, is an Assistant Professor at the Faculty of English, Adam Mickiewicz University. Her research interests include history of the book and literature of the long eighteenth century. She has published articles on various aspects of English eighteenth-century fiction. She is currently working on a post-doctoral book on the representation of book culture in eighteenth-century literature which addresses such problems as orality, literacy, print culture, commercialisation of literature and authorship. Dr hab. Małgorzata Nitka is an Associate Professor in the Institute of English Cultures and Literatures, University of Silesia, Poland. Her research interests cover English literature and culture of the 19th century, particularly social and cultural aspects of the Industrial Revolution. Her major publication in this field is Railway Defamiliarisation, The Rise of Passengerhood in the Nineteenth Century (2006), an analysis of cultural changes following the development of the railway in the 19th century. She also published articles on Charles Dickens, George Gissing, Elizabeth Gaskell, and Anthony Trollope. Wojciech Nowicki is an Associate Professor in the English Department of Maria Curie-Skłodowska University, Lublin, Poland, and Head of the English Department in the State School of Higher Education, Zamość, Poland. He has published books and articles on British fiction, the literature of Polish Romanticism, campus fiction and utopia. He is currently working on a book about eighteenth-century animal narratives. Agnieszka Setecka, DLitt, is an Associate Professor in the Faculty of English, Adam Mickiewicz University. Her interests include Victorian fiction, women's literature, history of the English novel, realism in literature. She has published several articles in academic journals and in article collections and she is the author of Vanishing Realities. Social Significance of Material Culture in Victorian Novelistic Discourse (2013), which is a study of the relations between Victorian literature and culture.